1 oz., 4 oz., 8 oz. tub, 8 oz. This is amazing and very quick working. It smells fantastic. I have very bad leg cramps and it prevents them. I highly recommend this cream. This cream helps me to wake up in the morning with less pain and it is wonderful! Glad I found you on a nurses recommendation! 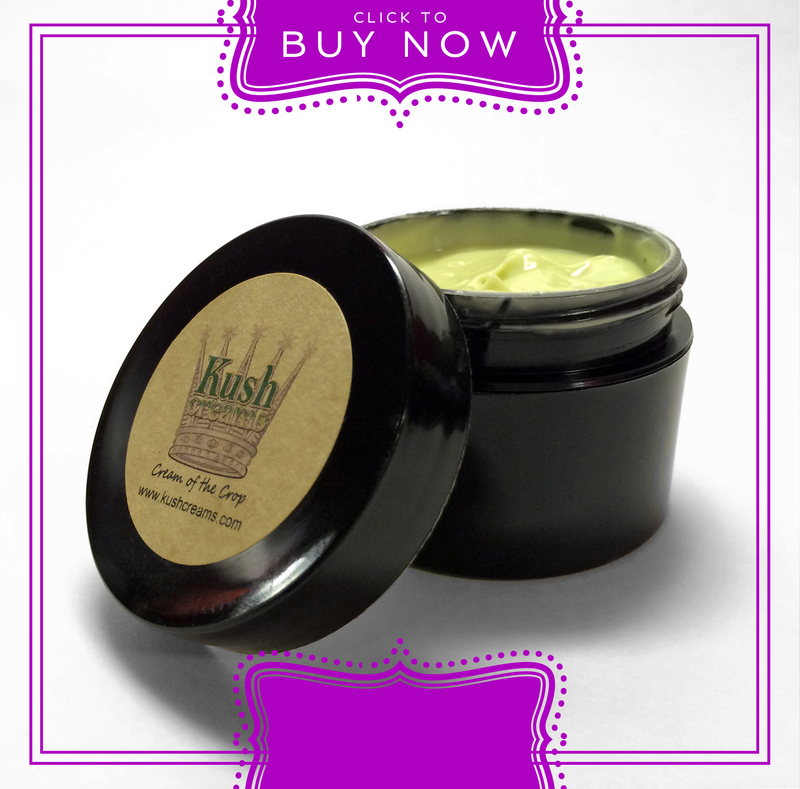 I’m so grateful to my good friend who introduced me to Kush Creams. I use this great smelling cream liberally every night on my feet, legs, shoulders, wherever I hurt or ache. It lasts me a month and relieves my aches and pains so I can sleep. 4 years ago I herniated my neck and had a titanium plate fused to two of my vertebrae due to degenerative bone disease. I purchased this cream after reading the other review of a woman with the same disease and it has absolutely changed the quality of my life. I am no longer in pain! I apply once a day, in the evening before bed and sleep like a baby. I no longer wake with aches and stiffness and it smells amazing! I am so thankful for this product, it has even relieved the pain and loosened the joints on my hands that are showing signs of arthritis just by rubbing my hands together after applying to my neck. It really is a miracle cream! A gift from my grandson while on vacation. Works so fast. Amazing. FIRST, I have been diagnosed with ‘Sympathetic Nerve Syndrome’ (CRPS/RSD) (Constant Chronic Pain in my right lower back, 24/7!) It spreads with; Weather, Altitude, Stress, Anxiety, MORE! I am ALSO dealing with ‘HYPERMOBILITY’ HEDS (Ehlers-Danlos Hypermobility) this attacks my ‘Whole Body’, COLLAGEN is the KEY FACTOR, where, for example…I tore a Ligament in my foot, Just by WALKING! LITERALLY!!! My husband went on a business trip ‘out west’ and came HOME with THIS CREAM! He visited a ‘shop’ that carries this product and the staff recommended this to him For Me! When he came home…..BEST PRESENT EVER! DOES this CURE me, No, there is No Cure for either condition. I will have Daily, sometimes debilitating Chronic Pain for the rest of my LIFE! BUT this Cream, I MUST say, Does Help, I also Love Putting it on any skin ‘issues’ I may have and it Immediately helps/gets rid of any skin related problem.